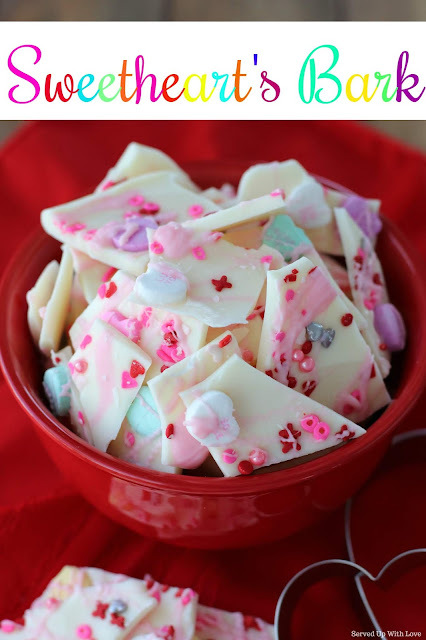 Are you looking for a last minute treat to make for Valentine's Day? This bark is super easy to throw together. This is easily changeable for any holiday or occasion. I am a huge fan of conversation hearts. I have to get a least one bag of these or I feel like I missed out. What better way to say I love you than with a sweet treat! In our family we don't go big on Valentine's Day. We just never really have. Don't get me wrong, a dozen or two of roses is always pretty, it just isn't practical in my opinion. They just die eventually and the amount of money you have to spend for roses or flowers on Valentine's Day is just crazy. Our kids get showered with love with little gifts and candy. The spontaneous show of love is my favorite. You know, the just because I was thinking of you moments. That is what hugs my heart the most. And well maybe just doing the dishes. 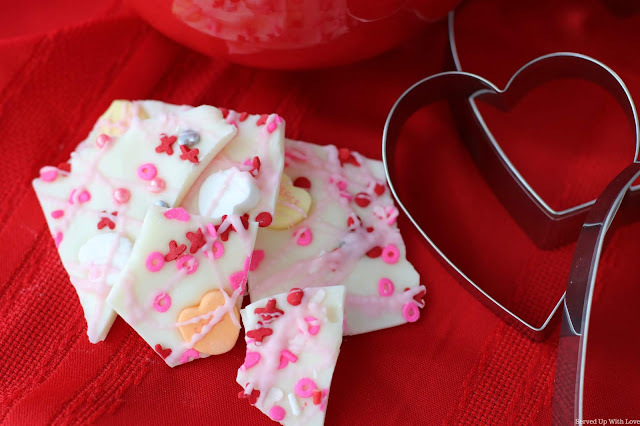 Your sweetheart will love this simple and easy Sweetheart's Bark for Valentine's Day. 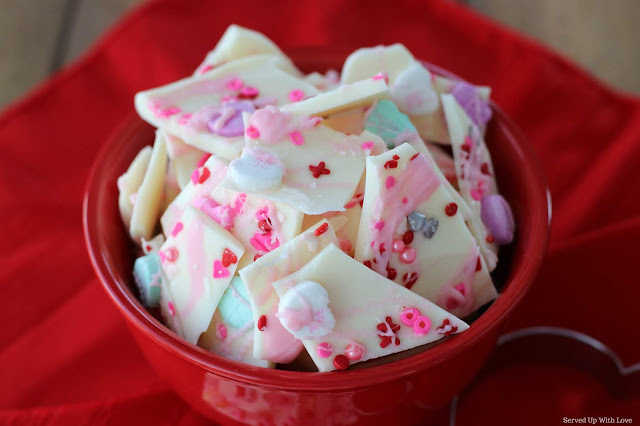 Melt almond bark according to package directions. Cover a cookie sheet with wax paper, once the almond bark is melted, spread onto wax paper in a thin layer. Sprinkle on the conversation hearts and sprinkles and allow to cool. Once cool, break into pieces and enjoy!